Our service offers guided tours and tourist guides to Villa d’Este and in all other places of interest located in Tivoli and its countryside. 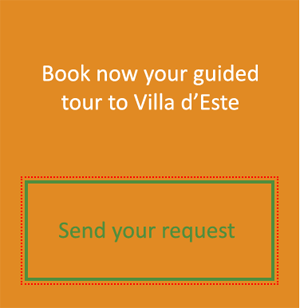 By using our guided tours services you will have a guide enabled without having to pay the reservation fee, which is necessary for those who decide to organize a visit independently, without relying on any guidebook. 335 5733516; or by e-mail to alexitalyiloveyou@gmail.com. 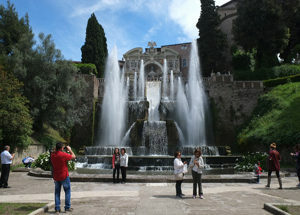 Thematic tours with particular attention on the D’Este family, thematic visits about the botany of Villa d’Este Gardens. Our guided visits to Villa D’Este and other places of interest in Tivoli are specifically designed to be complete and detailed, which will arouse the interest of the consumer. 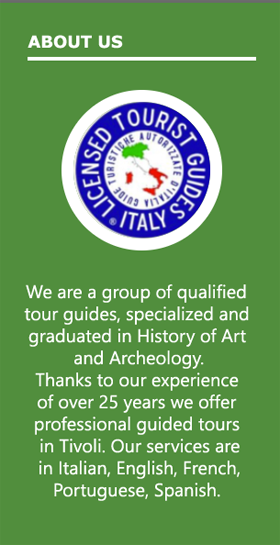 We are a group of tourist guides specialized in the area and graduates in History of Art and Archeology. Thematic visits with particular attention to construction techniques. From this base we try to offer guided tours that are also aimed at benefiting from the places of interest from every point of view. Walks, excursions, visits between monuments, food, and wine tourism. We offer guided tours to Villa d’Este and Tivoli also during the day; taking advantage of its proximity to Rome, it is also possible to combine the tour with a visit to the Capital. We offer many different ways to choose the service that best suits for your needs. To book guided sightseeing services in Tivoli and in Villa D’Este Gardens, or just to request information, contact us at +39 335 5733516 or at the email address alexitalyiloveyou@gmail.com.